CLICK HERE TO FOLLOW THE DEEP SIX DIVE TRIBE ON FACEBOOK! If you have always wanted to learn to scuba dive, discover new adventures or simply see the wondrous world beneath the waves, this is where it starts. Deep Six offers the PADI Open Water Scuba Course in Four formats to fit your schedule. 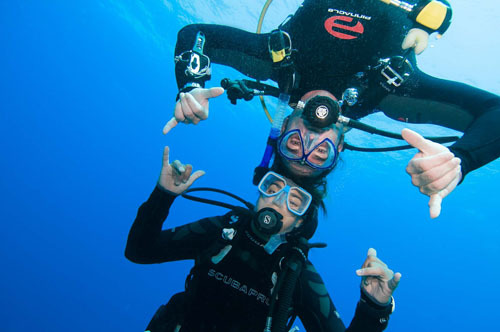 Dive students will be required to submit a PADI Medical Form prior to class. View here. If you have any of the conditions listed on front page, you will need your physician's signature to attend class. Group class is $350 + $185 eLearning fee; private is $650 + $185 eLearning fee. Call & get started now!! Don't stop at Open Water! Improve your knowledge, skills and confidence by continuing your education with our advanced, nitrox, performance freediving, and rescue diver classes. Inquire about our "Save Our Reefs" Specialty Package! Includes four distinct specialty certification courses: Project Aware, Peak Performance Buoyance, AWARE Coral Reef Conservation, and Digital U/W Photo. Learn to dive from the comfort of your living room! You can now complete the knowledge portion of the PADI Open Water beginning scuba class online, then finish your pool and open water dives with your local Deep Six. 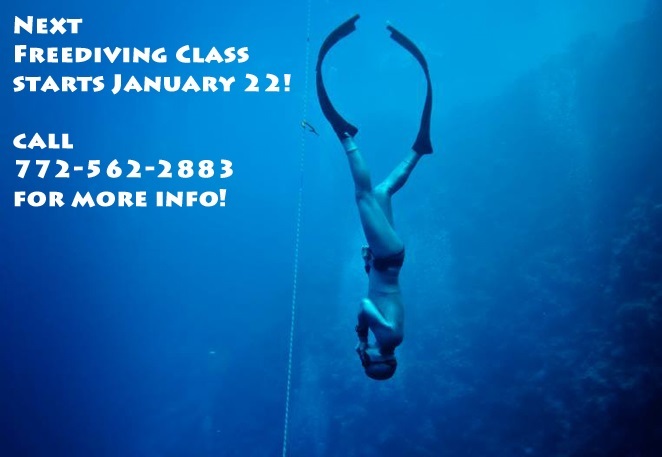 The cost is $185 for the online class, and $650 for a private pool and open water class or $350 for a group class (see group class schedule above). This includes a table and log book. 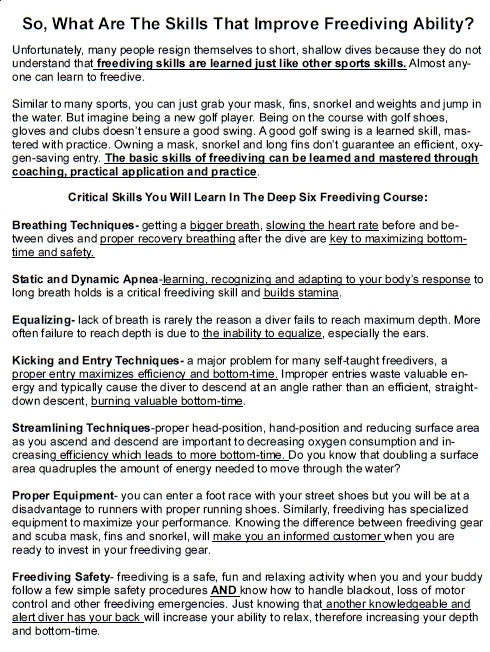 You must purchase fins, mask, snorkel, and weight belt for the in-water portion of the class. Click the link below for more information. Continue to develop your dive skills and experience even more of the underwater world. You will have the option to selectspecialty dives that are most interesting and exciting to you. So don't delay, begin your PADI Advanced Open Water Diver Course online today! The PADI Advanced Open Water Course online is $173 nonrefundable. The fee covers the knowledge development training as well as unlimited access to the entire PADI Adventures in Diving manual online. VISUAL CYLINDER INSPECTION 8AM-330PM. Become certified to visually inspect steel, aluminum and composite high pressure cylinders. Includes hazmat and Fill Station Operator training. 772-562-2883. EMERGENCY FIRST RESPONSE. CPR & First Aid in a fun, fast-paced course held over two evenings. Suitable for all ages. Contact Taylor 772-562-2883. Call for alternative dates. PADI RESCUE DIVER-Take your skills to the next level. Contact Taylor 772-562-2883. WEEKEND PADI OPEN WATER SCUBA. Contact Taylor 772-562-2883. 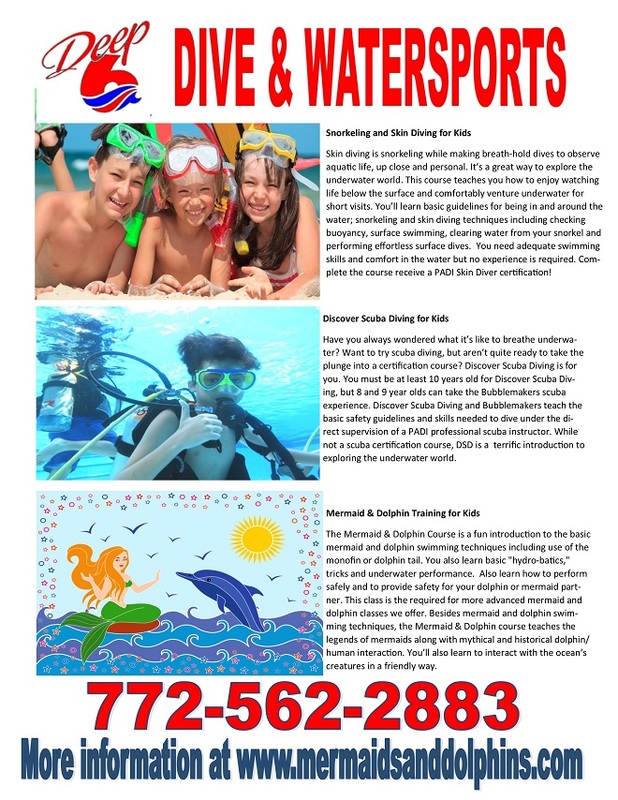 WEEKNIGHT PADI OPEN WATER SCUBA.Contact Taylor 772-562-2883.